The fact that you can get a coach from London to Paris was actually a bit of a revelation for me before going on my latest trip to Paris. I was going for a long weekend and I’d originally planned on taking the Eurostar train however when it came to booking, the prices were way above what I was prepared to pay. My other option was to fly but I was really keen to avoid the unneccessary hassle of an airport so, it was only after doing a bit of research that I found out about the option to get a coach with Ouibus. From as little as £20 one way Ouibis offers a direct service from London to Paris city centre and vice versa. There are multiple departures from both cities throughout out the day and travel time can range from around 7 hours to 15 depending on traffic (as I found out on my return journey). I booked the quickest (and I think the most practical option) which was to take the Ouibus overnight (departing around 10pm London time) which gets to Paris in the morning at 7am if it’s on schedule (so just in time for croissants and coffee). Living in Brighton the coach option worked particularly well for me because for just £50 I had a return journey booked from Brighton to Paris via London so I didn’t even have the added expense of a train ticket up to london and back or airport transfers either. I booked my trip through National Express coaches which used their own carrier to get from Brighton to London and then the Ouibus service to get to Paris. Overnight service leaves London at 10pm and mine arrived at 9am in Paris (although the journey was considerably delayed on the way home). Paris Bercy is in the 12th arrondissementt in the centre of paris and is on the metro line. I walked to the Latin Quarter in half an hour. overall I was really impressed with the Ouibus service. 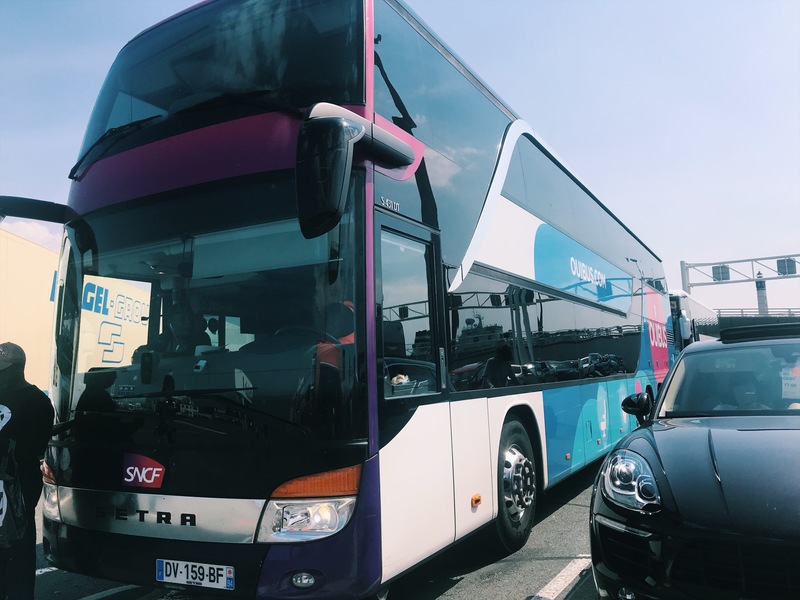 It was very clean, comfortable and punctual on the outward journey and unfortunately we were several hours delayed on the way back due to queues at Calais but this wasn’t a fault with the company. The Ouibus does what it says on the tin: Cheap and comfortable travel between London and Paris. Just be sure to clear the travel day free as pretty much the entire day will be taken up with the journey.